López-Gómez, R. Ortiz-Ramón, E. Mollá-Olmos, and D. Moratal. 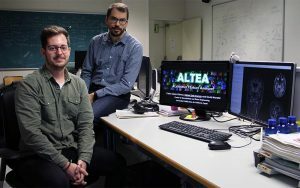 ALTEA: A Software Tool for the Evaluation of New Biomarkers for Alzhéimer’s Disease by Means of Textures Analysis on Magnetic Resonance Images. Diagnostics, vol. 8, no. 3, p. 47, Jul. 2018.